Thurston Conservation District’s Board of Supervisors creates a 5-Year Strategic Plan that prioritizes natural resource management issues and landowner needs in our District’s communities. From the strategic priorities outlined in this long-term plan, the Board of Supervisor’s creates an Annual Plan that outlines activities to address these strategic priorities and respond to landowner needs. 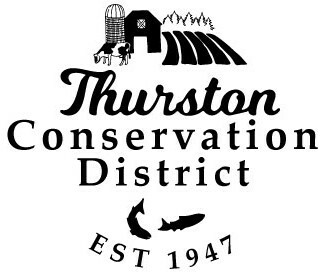 Thurston Conservation District’s Board of Supervisors oversee Staff in the development of an Annual Budget, which further outlines how the organization’s income (from a diverse combination of public and private funding sources) and expenditures are utilized to implement Thurston Conservation District’s Annual Plan. The Washington State Auditor’s Office regularly conducts accountability and financial audits to ensure appropriate use of public funds. Thurston Conservation District Board & Staff pride ourselves in the services we provide to our communities in exchange for the public funds that support a portion of our programs, and we are excited to report our audits have yielded no formal findings for over 15 years!